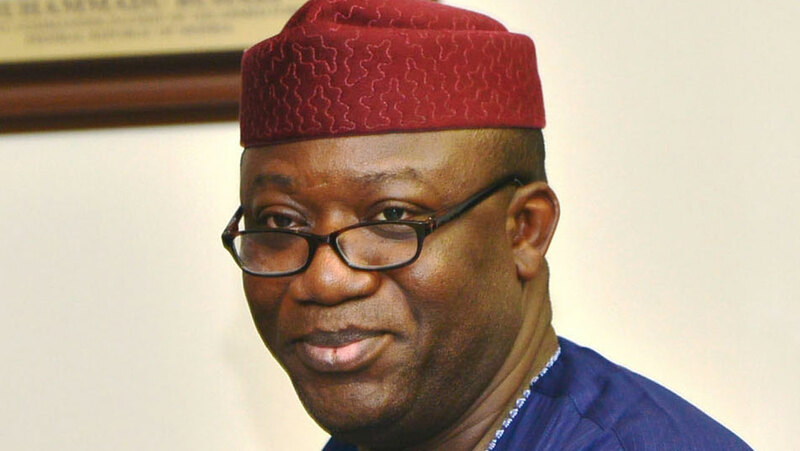 The Executive Governor of Ekiti State, Dr. Kayode Fayemi has been attacked by the Academic Staff Union of Universities (ASUU) over his claim that lecturers are doing better under the current administration of President Muhammad Buhari in terms of welfare. According to Punch, Governor Fayemi faulted ASUU on the ongoing industrial action declared by the union on the 5th of November. He also said that the Buhari administration had done more for tertiary education in the country than the previous governments. According to Dr. Fayemi, he said most professors in Nigeria universities earn N500,000 monthly like him as a governor. It was later gathered that the ASUU branch of the Federal University of Technology, Akure (FUTA) and the University of Ibadan (UI) on Wednesday, warned the serving Ekiti Governor to steer clear the affairs of the union. The ASUU branch of FUTA, in a statement by its chairman, Dr. Bola Oniya, stated that members of the union had been going through hard times since the beginning of the Buhari administration. According to the statement, “Since the Inception of the current administration, there have been several untoward interference by certain dramatis personae in the guise of oversight functions in public universities and thus challenging the autonomy of universities in Nigeria. “The dictations from various quarters are unwholesome for the smooth running of the universities and against the global best practices. Since December 2015, workers in public universities have been plagued with shortfalls in salaries. “For three years running, the same problem persists and the Ekiti State University will rank high on the list of state universities with the shortfall problem as the university is owing its workers for five months. The governor may claim that the debt was inherited, but the clock is ticking. A statement by the chairman, ASUU University of Ibadan, Dr. Deji Omole, stated that while the union would not be distracted in its struggle for the revitalization of public education “by political opportunist like Fayemi”, it considered the governor’s claim as diversionary.